Note: We do have a media upload limit of 250MB as UCI Sites is not designed to be a media repository. If your files are large, you may need to store them elsewhere and link to them from your site. 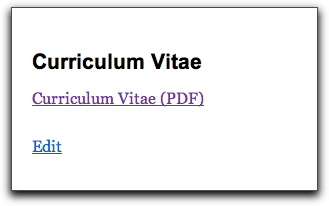 In your Page or Post, click where you want to insert a PDF. 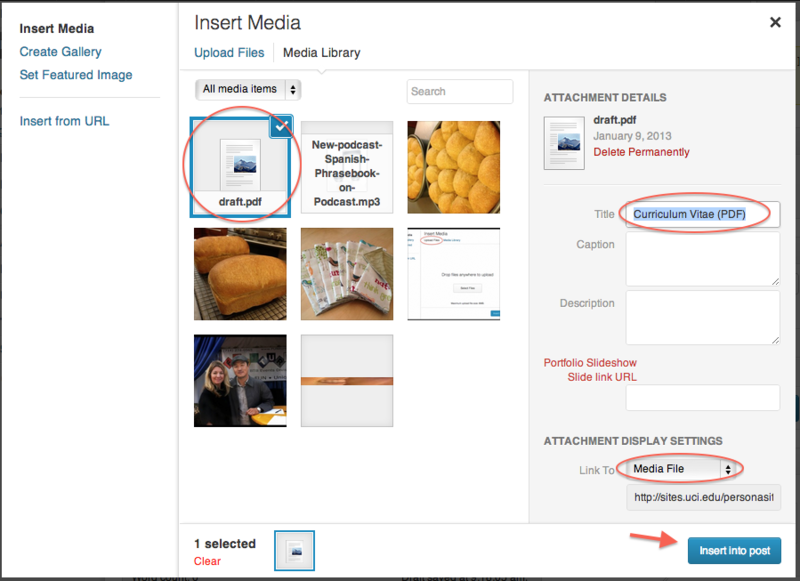 Drag and drop your files in the Drop files anywhere to upload box or click the Select Files button. In the Title field, change the name of the file if needed. This is the text that will display in the body of your Post or Page. Note: For Web Accessibility, it is advised to put PDF in parenthesis in the title. This will let your readers know that they will be viewing and/or downloading a PDF file. Make sure you are linking to the Media File in the Link To field. Your PDF file is now linked and will be uploaded when you Publish your Post or Page.